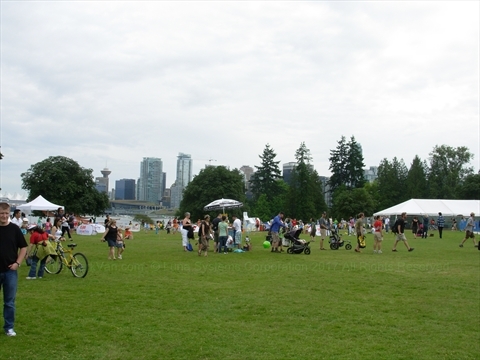 There are a number of major events which occur annually in Stanley Park. Some are one-time, weekly, seasonally, and annually in Stanley Park. Here is a list of the major events that occur annually in Stanley Park, Vancouver, B.C., Canada sorted by their start date. We have the largest, and most up-to-date Stanley Park Events Calendar. Click here to see it! 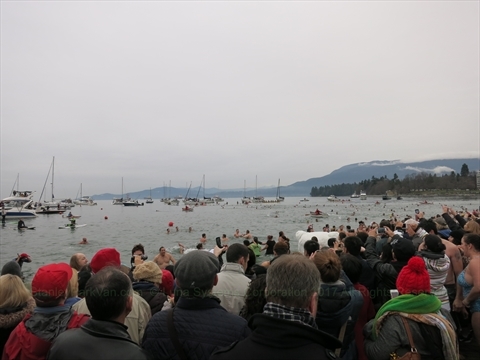 The Polar Bear Swim is the largest New Years Day event in Vancouver. Thousands of people go for a swim in the cold waters of English Bay in the West End of Vancouver. Many people wear costumes and it is a big party..a continuation of New Year's Eve celebrations for many! 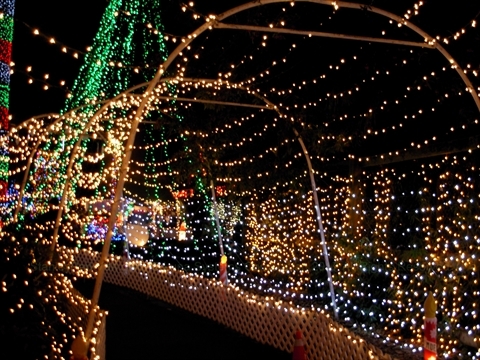 This event has taken place since 1920 and is one of the oldest Vancouver traditions! People are encouraged to dress up in costumes. There is also the "Peter Pantages Memorial 100 yard swim race". Also, the food bank collects donations of non-perishable foods and cash so please bring what you can. This swim is one of Vancouver's oldest and we think every that can should do it at least once in your lifetime!...we are waiting for the warmest ever year to do it! Water temperature varies year to year. Some years there is ice and snow on the ground so the water can be quite chilly where other years, the temperature can be higher so the water isn't so cold! Registration is free and you are encouraged to register so they can get a good count of the number of people who take the plunge! The swim take place at 2:30pm, but get there earlier to register. The restaurants in front of English Bay fill up completely by lunchtime. If you want to get into one of these restaurants, we suggest that you contact them for a reservation...if they take reservations or go early! Expect some traffic and pedestrian congestion on Beach Ave and nearby streets after 1pm. However, the roads remain open. This is an annual fun run that occurs in March every year. This is the one of the largest fun runs in the world. It occurs annually in April every year. 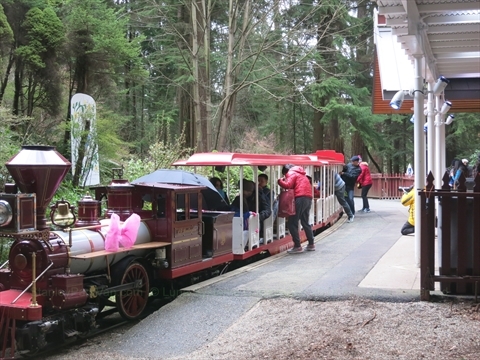 Every Easter, the Miniature Train operates with an easter theme and there is also an Easter Fair at the Stanley Park Junction. There is a cost to ride the train and for some of the activities at the Easter Fair. This is the largest marathon in Vancouver. It occurs in early May every year and goes through Stanley Park. 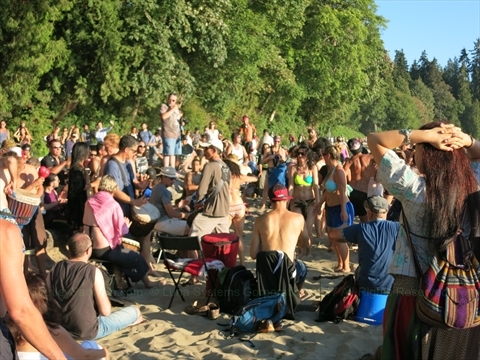 Each year from May through September, there is an improptu drum circle that takes place after work on sunny Tuesday nights at Third Beach. Many people go to drum and dance freely on the beach. This event is free for anybody to drum, dance, and/or listen! This is an annual charity walk for the Juvenile Diabetes Research Foundation that take place in Stanley Park in June. This is an annual charity walk for the Aga Khan Foundation that take place in Stanley Park in June. This is an annual half-marathon run that occurs in June and goes through Stanley Park. 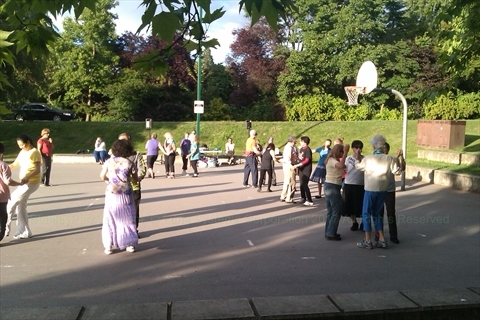 From mid-June to mid-August every year there is weekly dancing at Ceperley Park in Stanley Park. On Monday nights it is Scottish dancing and on Tuesday nights it is International Folk Dancing. This is free for anyone to join in. The dancing is weather dependent. 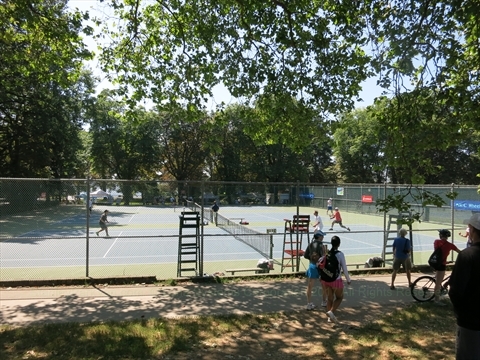 Every July for 3 weeks the Leith Wheeler Stanley Park Open Tennis Tournament takes place on the Tennis Courts in Stanley Park. This is a large tennis tournament with players from all ages. The tennis is very high level! During July and August every year, Theatre Under the Stars(TUTS) puts on 2 different musicals at Malkin Bowl in Stanley Park. These are full-on musicals that are performed on alternating nights. 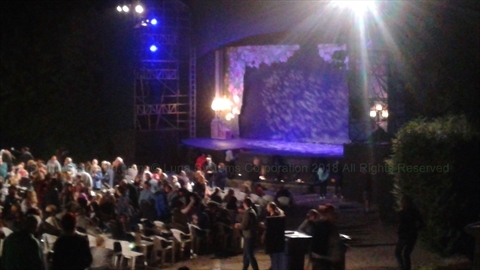 On a beautiful summer night, there is nothing better than watching some fantastic musical theatre under the stars! 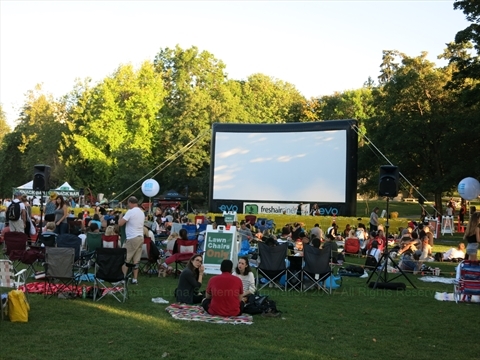 During July and August every year there is a weekly movie at Ceperley Park in Stanley Park. There is free and paid seating for this event. 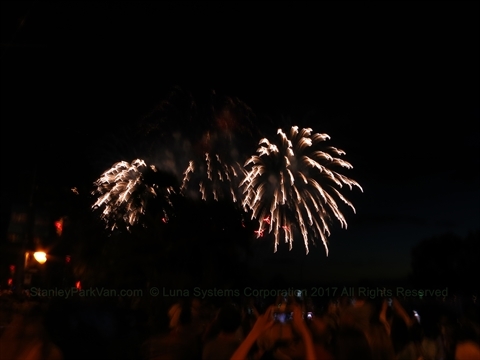 Each summer at the end of July/beginning of August, there are 3 nights of music-syncronized fireworks displays at English Bay. During the day there is an associated festival at Ceperley Park with live music, food, and beer gardens. This is Vancouver's largest event of the year! 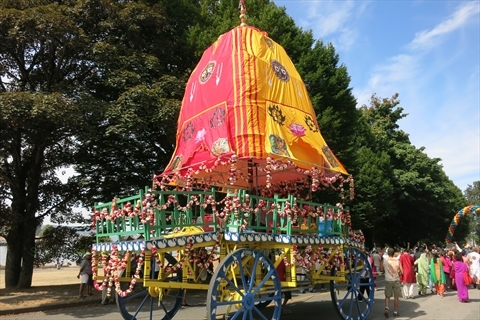 Every August, there is a Ratha Yatra parade down Beach Avenue to Ceperley Park in Stanley Park where there is a big festival. There are many events and they always give free food away! The parade is cool because they have a huge wagon which is pulled by hundreds of people. You can just join in and pull! This event is free, but there are some things for sale at the festival. Check our Events Calendar for the date of the parade and festival. This is an annual triathlon in Stanley Park. New for 2018 was the Skookum Music-Food-Art festival that took place in early September 2018 at Brockton Point in Stanley Park. This was a 3 day festival which had some major musical acts along with food and art. This event was supposed to be annual, but was cancelled for 2019. It is anticipated it will be on again in 2020. 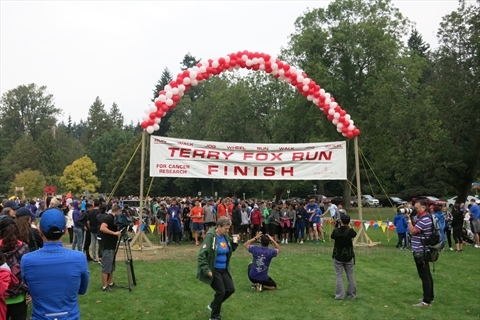 The Terry Fox run is an annual charity run/walk/bike to raise money for the Terry Fox Foundation which is searching for a cure for cancer. This event place usually on the 3rd Sunday of September at Ceperley Park in Stanley Park. Registration starts at 8am. There is a group warm up around 9:30am. The run/walk/bike starts at 10am. There are usually 2 routes that you can take. There is a 10km route that goes around the entire park mainly on the Stanley Park Seawall. The other route is a 3km route that goes around Lost Lagoon. After the run, there is usually a free breakfast served up for participants. Expect some traffic delays after 10am at the point where Stanley Park Drive passes Ceperley Park. This is to allow for the people on the 3km route to cross the street to return to Ceperley Park. This is an annual running race in Stanley Park. It is named after James Cunningham who built a large portion of the Stanley Park Seawall. 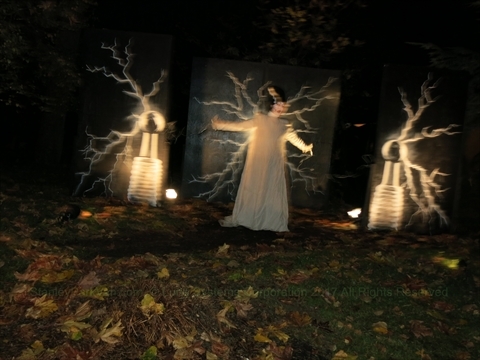 Around Halloween time, the Miniature Train operates with a halloween theme and there are also activities such as a haunted maze and haunted barn at the Stanley Park Junction. There is a cost to ride the train and for some of the activities. This is an annual Remembrance Day Ceremony that takes place on November 11 at the Japanese Canadian War Memorial in Stanley Park. From December into early January every year, the Miniature Train operates with a christmas theme. There are christmas displays and millions of christmas lights are set up at the Stanley Park Junction. There is a cost to ride the train. Entry to the area is by donation for charity. This is an annual charity event for the Salvation Army that takes place in December at Lumbermens' Arch in Stanley Park.